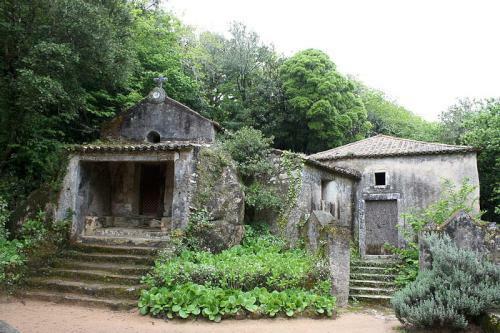 The Capuchos Convent – known in Portugal as the Convento dos Capuchos, is a popular destination for any tourist visiting the historical town of Sintra. The Capuchos Convent dates back to 1560 when a small group of monks arrived in the area from another order, sent by Don Alvaro de Castro at the behest of King Sebastian to establish a new order to the Holy Cross. 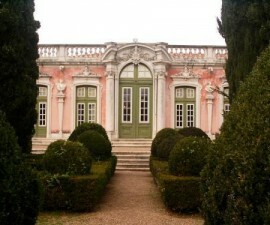 The convent played a major role in Portuguese ecclesiastical, political and administrative life and was frequently visited by members of Portugal’s royal family – including King Phillip II of Spain when he was installed also as King of Portugal. It is also said to have inspired some of the world’s leading artists and writers of the time such as the English romantic poets including Lord Byron. As with many historical buildings in the area, the full convent was constructed over the course of many years. One of the first major segments to be constructed was the Chapel of Santo Antonio along with a wall surrounding the estate, during the latter part of the sixteenth century and further sections were added later. The decorative features and ecclesiastical artworks contained within the Convento dos Capuchos tell the story of its long and important history until the extinction of Portugal’s religious orders. By the nineteenth century it was left abandoned until the estate was acquired by the English nobleman Sir Francis Cook, who was created Viscount of Monserrate. 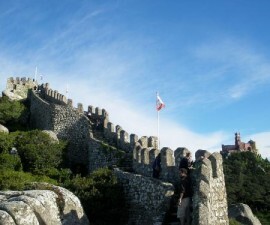 It was Cook who also built the famous Monserrate Palace, another of Sintra’s most important historical monuments. 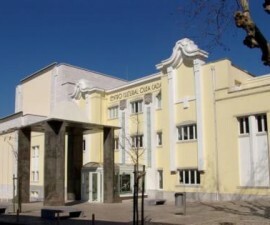 Extensive renovation works have been undertaken in recent decades since the site was acquired by the Portuguese state, following the creation of the Republic in 1910 and after several false starts it is now open to the public as a major site of historical interest. 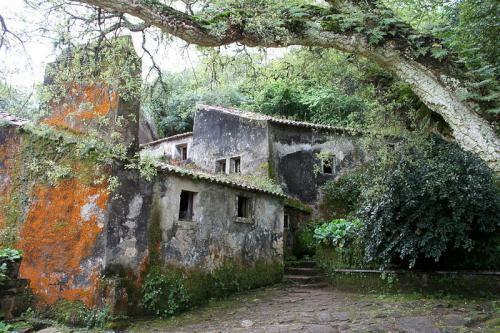 Visitors will delight in wandering through the ancient walls and corridors of this magical site what merges almost imperceptively with the rocky terrain and steep gradients of the Sintra mountain range. Rooms and sections at different elevations are joined together via a series of paths and passageways, linking areas such as the hall of retreat, the hall of penitence as well as the main church. 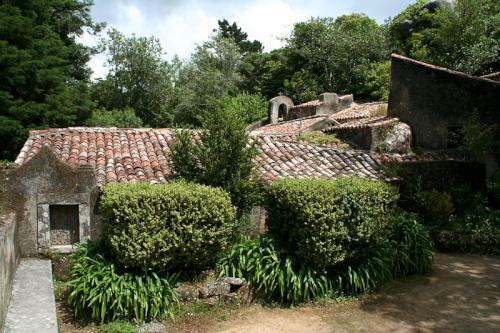 In contrast to other Sintra monuments and structures there is little in the way of ornate decoration – perhaps unsurprising given that the purpose of the monastery could not be more removed from the hedonistic, showy purposes of the many noblemen’s palaces. There are however some interesting carvings and religious scenes along with some delightful old hand-painted azulejos. The Convento dos Capuchos is reached via the old road that connects Sintra to the nearby rural village of Colares, from which an offshoot leaves close to the Palace of Monserrate to begin the climb to its ancient walls. Take the time to explore the Capuchos Convent at your leisure to really soak up its atmosphere and sense of history – and don’t miss the grotto where, as the story goes, one of the order’s founders spent no less than thirty years of his life in isolation.